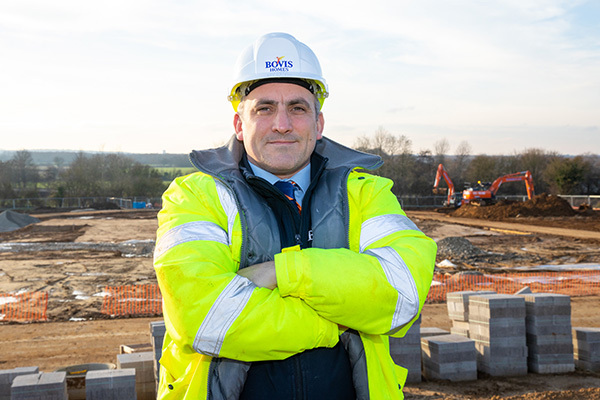 Local housebuilder Bovis Homes has begun work on the first properties at its brand-new location in the village of Shrivenham. 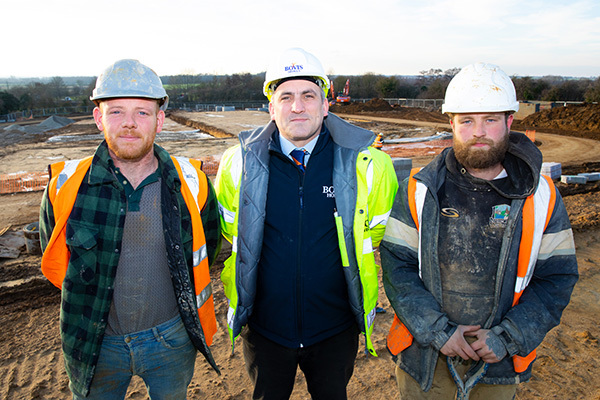 The site off Townsend Road will provide 116 much-needed new homes for the local community, and site manager Dylan Gristwood is excited by this latest milestone. The team have been on site at Shrivenham since late August, and until now have been working on installing infrastructure like roads and drainage. Dylan and his team, which includes a number of local trades from around Gloucestershire and Wiltshire, are expecting to complete work on the show home and sales centre in the spring of 2019, ready for the first new customers to look around. “Everything we do is with happy customers in mind, so that’s our end goal. We know Shrivenham is a great place to live and work, set in beautiful countryside and next to rolling hills. And we’re sure the homes we build will complement that nicely,” says Dylan, originally a carpenter by trade. Bovis Homes’ plans include a range of 70 three to five-bedroom houses for sale on the open market, and a further 46 allocated as affordable homes. Of the affordable homes, which will be owned and managed by a registered provider, a quarter will be reserved for shared ownership, while the remainder will be offered for rent. Alongside the properties, Bovis Homes will be providing a children's play area and attractive areas of public open space. The delivery of the homes will also see the housebuilder make financial contributions towards the village hall and sports facilities as well as bus services and education provision.